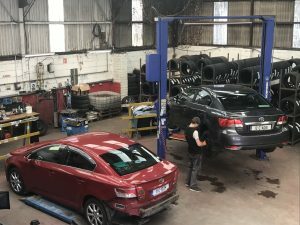 At Macroom Tyre Centre, we supply a broad range of tyres for cars, vans, 4 x 4’s and commercial vehicles. We offer exceptional service at affordable prices. There is no appointment necessary, simply drop in and we will look after all your tyres needs. We use only the very best brands, including Dunlop, Michelin, Continental, Hankook, Goodyear, Firestone, Pirelli, Bandag, Uniroyal and Bridgestone. All our tyres are brand new and are made to the highest standards possible. 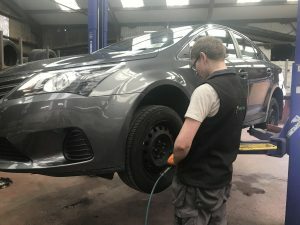 All tyres are fitted by a trained professional using the latest state-of-the-art equipment and technology. Correct wheel alignment can significantly increase a tyre’s life and provides a better feel, better handling and a smoother safer ride. 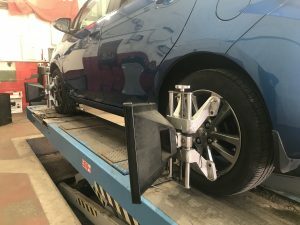 Wheel alignment is done by a trained technician using professional equipment familiar with all different makes and types of vehicle. We provide specific, regular training and work with 3D technology. 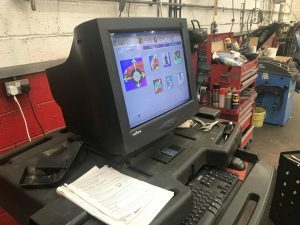 State-of-the-art computerized four-wheel alignment means that all four wheels are aligned simultaneously with the geometric center line of your vehicle. This provides complete vehicle control on any road, driving style or load conditions. If you have a puncture, Macroom tyres are there to check the tyre for you and to fix it professionally and safely. TPMS (Tyre Pressure Monitoring System) is a built-in monitoring system for the tyre pressure in motor vehicles. It gives automatic and direct indication as a warning on the display when a problem occurs in one or more tyres due to a pressure loss. Headlight alignment is one of the most common causes of NCT failure. If your headlights are too high, they will dazzle oncoming traffic; if they are set too low your line of vision is impaired.We can adjust the alignments of your headlamps to ensure safe driving, so you can see what’s in front of you, but also not dazzle oncoming motorists.